Till now you can only send texts in the FACEBOOK CHAT. 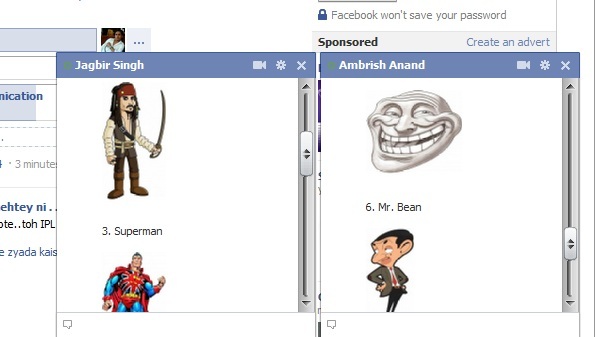 But now here is the trick by which you can also send few cartoon images in your chat box. Now if you also want to send these cartoon to your friends , Just copy and paste the links below in the chat box. Enjoy the trick and SHARE this page so that everyone knows about it. Very exclusive ImAgE’s and article thanks for sharing.